Medical technology is becoming more and more advanced all the time. Previously incurable diseases are now curable, and what may have once been terminal prognoses of weeks can now be extended to months or even years. However, choices must always be made regarding where investment should be placed. Should we invest in prolonging the lives of those destined to die, many of whom are elderly? Alternatively, should we instead focus our efforts on trying to cure other diseases, such as those that can affect children and young adults? Or, should we even be trying to cure diseases and illnesses like these at all? Arguments can be made for investment in this technology on the basis of several ethical frameworks. The first of these is duty, or deontological ethics. Deontological ethics state that in any given situation it is necessary to take the action that has the best direct consequence , regardless of the subsequent consequences. Kant’s Categorical Imperative is an extension of deontological theory that is useful when approaching this problem, as it can make it clearer which is the right action to take. In summary, it states that ‘when one acts, one must put oneself in the place of those who are being affected’ . It is possible now, in our current state of being fit and healthy, that we could claim that we would not want our lives to be extended if we were terminally ill. However, if we did suddenly find ourselves suffering from a terminal illness, it is incredibly likely that we would have a different outlook and that we would want to be able to have access to any technology that could extend our life. Therefore, to satisfy the Categorical Imperative, if we would want the technology to be available for ourselves in that situation, we could not oppose investment in it when the situation is not applicable to us. Another ethical framework that can be used as justification is consequentialism, specifically Jeremy Bentham’s Utility Principle, which dictates that ‘one should choose those actions that result in the greatest happiness for the greatest number’ . It is important to look at how many people the treatment of a single terminally ill person would benefit. In the vast majority of cases, a terminally ill person has friends and family who will all want the person to be able to live longer. These people would all be negatively affected by the death of the patient. Therefore, it would be in the interest of these people to extend the life of the patient if possible- for example if treatment could make the difference between a parent dying when their child was 15 and dying when their child was 18 this would be enormously beneficial for the child. This is before even considering the ‘value’ of the person’s life outside of their inner circle, and the impact that losing them sooner rather than later would have in that sense. However, the Utility Principle could also be used as a justification for not investing in this type of medical technology. Currently, a large proportion of the innovative health care technologies are focused on the purpose of extending lives of terminally ill patients. Ideally, these technologies should instead be intended for life support and primarily used as ‘a bridge to recovery’. They should only be utilised if in the future the patient is likely to be able to resume independent living with the aid of suitable post medical care. It could be argued that the quality of life for many terminally ill patients dependant on these machines is incredibly poor with many needing constant aid to perform simple tasks like eating, talking and walking. Often, they can be in a state which severely impacts their ability to do anything which contributes to society. Therefore, the allocation of these resources such as ventilators or ECMO machines to those suffering from the effects of their terminal illness is incredibly wasteful. Alternatively, a more sensible approach is to divert resources to tend to patients that could respond to care and be treated effectively, instead of increasing the ever growing investment into the futile care of terminally ill patients. Money used to fund such expensive machinery and technology should be redirected towards prevention and cure research. The outcome may lead to the discovery of effective prevention strategies as well as cures for these terminal illnesses and possibly many others, which overall could benefit a greater number of people. This satisfies the Utility Principle. Furthermore, all individuals stricken by the specific illness can be treated which allows them once again positively contribute to the greater good of society. A second reason to oppose the investment in these technologies is that one of the major problems faced in the world right now is overpopulation. 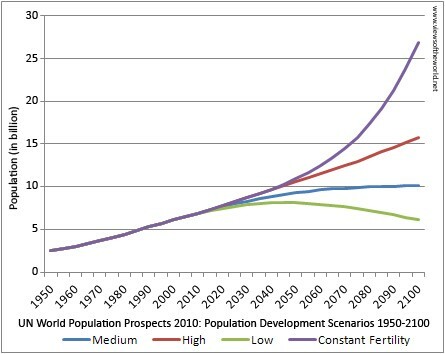 The current global population is 7 billion, and this figure is expected to double within the next 80 years. Biocentrism is “an environmental ethical stance that suggests that ecological concerns should be put, over human priorities when decisions about right and wrong action actions have to be made” . The planet’s exponentially growing population has become incredibly perilous to humans and the environment they live in. Humans are the seen to be the main perpetrators of rainforest destruction, increased rates of carbon dioxide emissions, natural disaster frequency, ozone deterioration, and the loss of biodiversity . Action must be taken immediately to serve justice for this environmental destruction caused. Therefore, it is vital to reset the natural mortality rate via ceasing any technological advancements made in support of life extension for terminally ill patients. Our initial group decision is to side with the arguments against this question. This is because we believe that the quality of life for terminally ill patients that require this technology is insufficient to justify further investment into extending their lives, and that investing elsewhere could benefit a greater number of people in the long term. “How The Rise Of Medical Technology Is Worsening Death | Health Affairs”. 2019. Healthaffairs.Org. https://www.healthaffairs.org/do/10.1377/hblog20171101.612681/full/. Online Guide To Ethics And Moral Philosophy”. 2019. Caae.Phil.Cmu.Edu. http://caae.phil.cmu.edu/cavalier/80130/part2/sect9.html. “What Is Life Support?”. 2019. Webmd. https://www.webmd.com/palliative-care/what-is-life-support. Robbins, Paul, 1967- author. Environment And Society : a Critical Introduction. Chichester, West Sussex :John Wiley & Sons, Ltd., 2014. If we take the view that we shouldn’t prolong the lives of these patients in order to minimise damage to the environment then surely we should just not attempt to heal anyone’s illnesses? Is it not necessary to let people die to stop the overpopulation of the earth and therefore we should not be trying to extend people’s lives but let them die instead. Verification of the medical technology should be widely increased to widen the scope to cure diseases such as in adults and children, the ethical framework or decontological ethics necessary and direct consequences in terms of terminal illness which depends on how cronic the individual is in terms of saving lives and needing constant aid to perform a simple task and to allow the allocation of ventilators and ECMO machines for those suffering from the effect of the illness, furthermore to stricken specific illness that can be treated for positive result which is good to support the investment in order to save the lives of those suffering from any type of terminal illness. Life is sacred and anything that can be done to prolong it should be heart gladdening. With more scientific researches and discoveries in the field of medicine, ailments and health challenges that shorten the longevity of human life will soon be tamed. I cannot but agree with the Bentham Utility Principle. Terminal illness can refer to someone bed bound and in constant agony, or can refer to someone who knows they will die in the relatively near future but at least for the moment has a high quality of life. Which type are you referring to in this article? Life is a terminal condition, so perhaps any effort made to extend or prevent its termination should not be undertaken – according to the conclusion of this article. Of course, you make fair points, we are not running out of people, far from it, and so shouldn’t we allocate resources to those who are useful. This argument, however, suggests that we must never stop being useful, and also we should be clear what we mean by useful. Personally, as someone who watched their little sister die of a terminal illness, I’m opposed to the initial conclusion. Our capacity to care and to empathise is a quality that many of us find admirable (even if, sometimes, we are selective in those we care for). There is perhaps a good virtue ethics case to be made against the initial conclusion.